The weather's been a little crazy this year but I have already been into my pool even though Mom hasn't had a chance to clean and put new water in it yet. Mom has opened the back door on several days to let in some fresh air into the Shop and I get to run and run inside and outside all day. I'm having so much fun on those days. And my Boxer friend, Princess Leia, comes to visit and play with me a few days every week. We have lots of fun playing until we drop. Tuesday, I taught Princess Leia how to dig in the yard. She is a fast learner. I'm so proud of her! I'm sure her Mom & Dad are very thankful I taught her how to dig. Some of you may have already met my little buddy. We have lots going on in April. We have lots of different classes. So many, Mom said to do a separate email to you on April's classes. She said to just mention this weekend's class and then I can do another email on the rest of the classes. Oh boy! I get to play on the computer some more! Keep an eye out for our April Classes list coming to your Inbox soon. 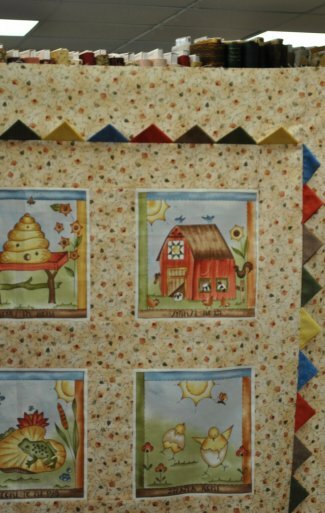 On Saturday, April 2nd, we still have room for the Sunshine Quilt Class from 10a-4p. 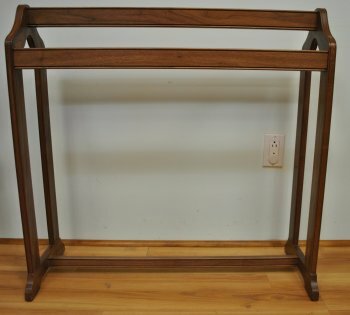 It is $25 plus materials. It does includes the pattern. 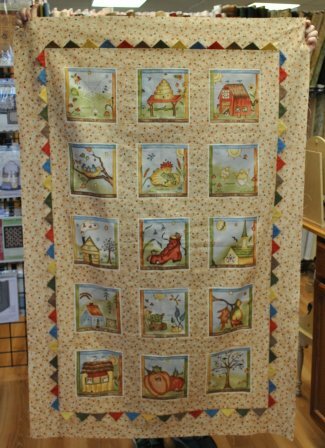 This quilt is designed and created by our very own Elizabeth Geiss. 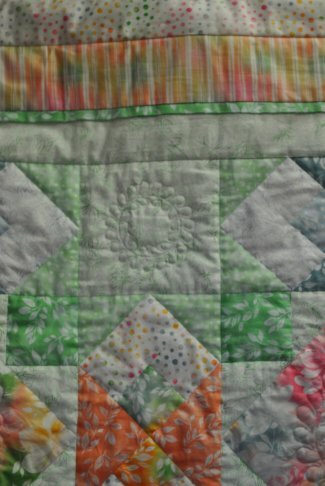 This is her first quilt pattern. 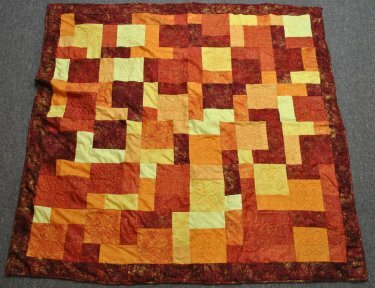 She also designed the Superbowl Quilt-A-Long quilt that she posted on Super Bowl Sunday on her blog, The Quilter In Me, on Facebook and it also has it's own Web Page. Also, on Saturday, April 2nd, we will be having 25% Off all regular priced items. Excluded from this is Clearance items, Bag O Scraps, and Hand made items. We will be down at the Bradford County Quilt Extravaganza debut on Mother's Day Weekend, May 7 & 8th, located in the Historical Society in the for Sale Barn in Troy, PA. 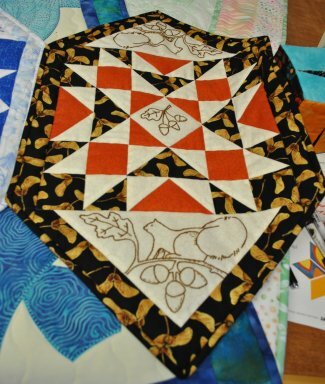 The Quilt Extravaganza will be displaying quilts from the area. 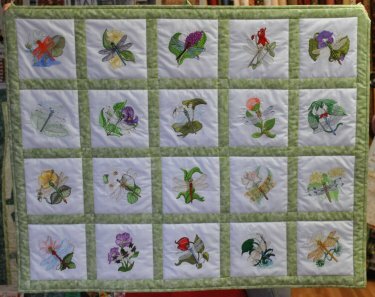 We will have our May Fabric Challenge Quilts, past Fabric Challenge Quilts, customers' quilts and Grandma's Sayre Centennial Quilt will be display under the Shop's representation. 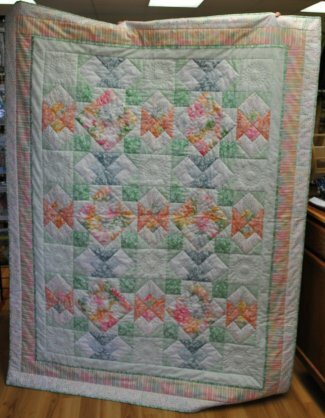 If you would like to display any quilts, you may either display them with us or contact the Troy Historical Society at www.HistoryofTroy.com or (570) 750-1362. 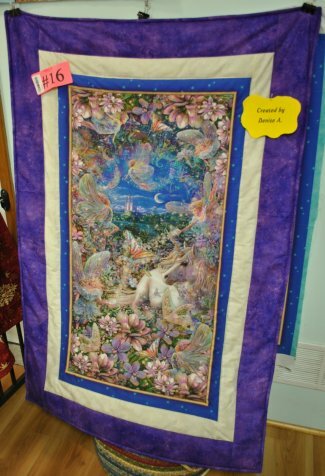 This is not a quilt competition, only an exhibition to introduce and promote the art of quilting. We hope you will be able to attend and enter some quilts. The founders are hoping to make this into an annual event and your support will be greatly appreciated. 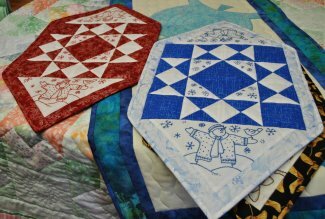 Local quilt shops will be showcased but there will not be any vendors at the extravaganza. We will keep you updated on this event as we receive new information. We are proud to support the Troy Historical Society and the Bradford County Quilt Extravaganza. Mom said she doesn't think dogs are allowed at the Quilt Extravaganza, so I will have to stay home. I'm so bummed out. Mom, Grandma, Liz, their friends, Denise & Monica get to go to all these cool events (where I could be getting lots of belly rubs) and I have to stay home. Mom says I will survive. I'm not to sure about that. On to our Show and Tell for the month! Lois E. was finishing up some UFO's. Snowman and squirrel table runners are all finished & ready for the table. Lois E. had made these beautiful dragonflies on her embroidery machine a while back. She found the perfect sashing fabric in our greens. 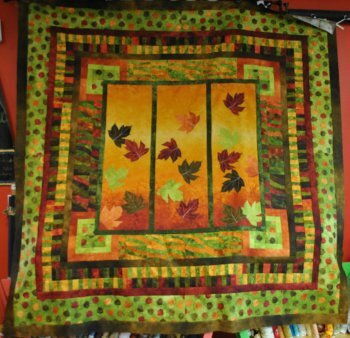 Lois E. made this table runner from batiks she found in our stash, I mean batiks section. 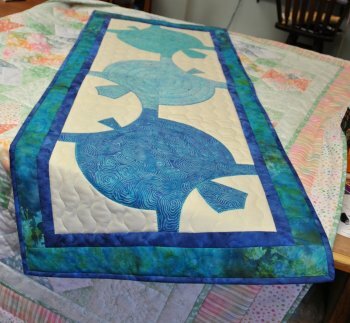 The pattern is called Declan's Turtle and is a pattern designed by local quilt pattern designer Aunt Tracey Quilts. We carry this pattern, too. Denise A. made this quilt using Quilting Treasures Dreamland digital screen print panel, Northcott's Stonehenge & her stash. Mom's problems with our Facebook Page was fixed in 10 minutes by Elizabeth after Mom spent a day and a half trying to fix it and Grandma spent 1/2 a day trying to fix it. Moral of this problem: If you have an Internet or computer problem...find a teenager. That's all for this month, folks. 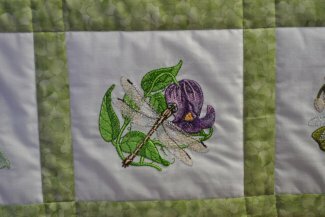 Have a great Spring and we hope to see everyone in the Shop and at the Quilt Extravaganza. Keep your stitches straight and in the ditch.